For some self-loathing reason, I talked my girlfriend into playing in a roto fantasy baseball league with me this year. My theory was that it would serve as a somewhat regular conversational topic for us while we wait for more interesting jobs and/or the next season of Dexter to start. Well, thus far, the experiment has been a disaster. You see, there are few things in life that annoy me more than talking to someone who thinks they know way more about sports than they actually do know. They own a maximum of one jersey per team they support (typically the most popular player on the team), they couldn’t possibly list more than 10% of their favorite team’s active roster from memory, they think people like Doug Gottlieb and Jemele Hill actually make insightful arguments, and they think that these three things qualify them for intelligent sport-related debates. One of the only things more annoying than talking to those people is getting beaten in fantasy sports by people who don’t know what they’re doing. Naturally, my girlfriend has been in first place in the league for the majority of the first few weeks of the season. Bless her heart, she’s new to the concept of fantasy sports and is doing her best to better understand both fantasy baseball and the actual sport. That being the case, she called me recently to ask what a pitcher needs to do in order to be credited with a save. Before explaining, I checked to make sure she was sitting down. I’m willing to bet that there are closers in the big leagues that occasionally don’t even know whether or not they’re entering a game with a save opportunity. In order to get a save, not only do you need to finish a game that your team wins, but you cannot be the winning pitcher, and you need to either enter the game with a lead of no more than three runs and pitch for at least one inning; enter the game with the tying run on base, at bat, or on deck; or pitch for at least three innings, regardless of the size of the lead. After over a decade of playing fantasy baseball and religiously following the sport, I think I finally understand when a save opportunity is in play. It’s nowhere near as complicated as QB passer rating or even the BCS ranking system, but it’s arguably the most pointless statistic in sports, and easily the most frustrating one to root for. I think it’s safe to say that the gap between what we expect out of our closers and their actual production is the cause for this frustration. Every time I go to a ball game, I’m hoping to see one guy pitch a no-hitter or to see another guy hit four home runs, but I certainly don’t expect these things to happen. In the same breath, if a closer comes into the game and does anything short of striking out the side in order, it is, at best, somewhat of a letdown. But closers are far from perfect. Very far from perfect. And already this season, they’ve been much less perfect than they have been in recent years. In 2009, there was a blown save in 18.93% of all games played. In 2010, the number dropped to 16.46% of the games. Through April 15th, there has been a blown save recorded in 29.08% of games. Granted, a lot of those blown saves were the result of middle relievers failing to come through in the clutch, so to reduce the middle reliever effect, I went back and limited the figures to pitchers who received ample save opportunities. Guys with ten or more save opportunities in 2009 were successful in converting just 82.7% of those chances. 2010 wasn’t all that much better, with “frequent flyers” converting just 84.01% of save opportunities. I have a degree in applied mathematics, so I understand the effect of reduced sample sizes, but through a little more than two weeks in 2011, guys receiving at least two save opportunities have only been successful in 77.95% of their chances. I have neither the time nor the technology to figure out why closers are having reduced success, or frankly why they have such limited success to begin with. I’m sure a lot of it has to do with the situations they’ve been put in, whether those situations are inherited runners or run margins when they enter the game, but because saves are such a cockamamie stat, it’s difficult to determine just how much of an effect that is having without going back and checking the individual box scores for (no exaggeration) 5056 games. And that’s just to explore the numbers since the start of the 2009 season. No thank you. 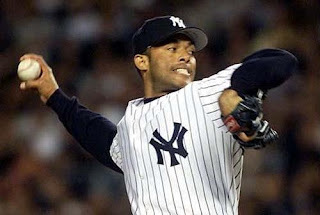 Whatever the cause, the result remains the same: in any given season, it feels like your odds of winning consecutive games of Keno are better than your odds of predicting who will finish the year in the top ten in saves converted; and I’ll even spot you Mariano Rivera. 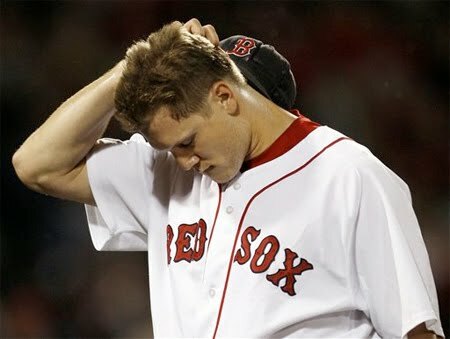 It’s been drilled into our collective head for years that you shouldn’t pay for saves, but on behalf of everyone who entered the season with Ryan Franklin or Matt Thornton as one of their primary closers (or both of your primary closers in my case), I think it’s time to rethink that strategy. While it’s true that saves “come into the league” more than stats like home runs or strikeouts, there are an extremely limited number of closers that you can draft with confidence. So why were “run-of-the-mill” infielders like Michael Young, Rickie Weeks, Aramis Ramirez, and Martin Prado drafted ahead of Mariano Rivera and Brian Wilson? We see the exact same head scratcher in fantasy football with the tight end position. Sure, someone will end up drafting Gates in the 4th round, but the majority of people are more concerned with grabbing their 3rd or 4th RB or WR before they even think about getting a tight end. And yet, every year when the tight ends and closers start to get drafted, most people in the draft room end up panicking and drafting for that position because they’re suddenly worried that they’ll end up getting nothing; but at that point it’s already too late anyway. In a sport where people are becoming overwhelmingly obsessed with sabermetrics such as Isolated Power, Zone Rating, and Defense-Independent ERA Ratio, it dumbfounds me how eager the fantasy world is to overlook Value Over Replacement Player. Why take Prado or Ramirez while Rivera is still on the table when you could get the same amount of production (or better) at least a few rounds later with a Howie Kendrick, Brian Roberts, or Placido Polanco? Realistically, by playing a third-tier infielder over a fourth-tier infielder, you’re looking at an extra three home runs, a few RBIs, and a maybe a dozen batting average points; but in the process, you’re dropping from the 40+ saves from Brian Wilson or Mariano Rivera to the 20+ ulcers you’ll get from trying to rely on Jonathan Broxton. Of course Rivera shits the bed against the Blue Jays within 24 hours of posting this article. I guess you can't trust anyone these days.